THIS BEAUTIFUL GLASS ROOM CAN BE YOURS: A JACUZZI INSIDE, AND YOU IN IT; SIPPING ON A BEVERAGE…. RELAXING. YOU DESERVE IT. YOU REALLY DO. RELEASE THE STRESS AND LIVE A LITTLE. 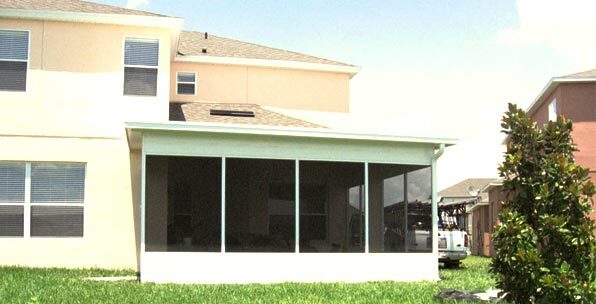 When it comes to aluminum construction: pool enclosure, screen rooms, screen enclosure, glass rooms, vinyl window screen rooms, acrylic window screen rooms, patio screen enclosures, car ports, roof over’s for mobile homes, screen, aluminum frame screen enclosure, patio screen rooms, and much more, no one beats Florida Screen Rooms, LLC. They have built a solid reputation in Central Florida because they strongly believe that without a great reputation, they wouldn’t have a successful business. Their main priority has been to uphold the highest standards in quality of materials and workmanship of final product. Quality work doesn’t have to be expensive, but fair and reasonable. The aluminum products come in two standard colors: white and bronze. Other colors are available to satisfy individual taste and needs. Let Florida Screen Rooms, LLC serve you on your next specialty aluminum construction project; where their main goal is a satisfied customer. Whether you have one pool enclosure to build, or many frame-ins to build for townhomes or Condos, and you are a builder, pool company, or GENERAL CONTRACTOR, Florida Screen Rooms, LLC is here to serve you and to build a long solid business relationship with you. Florida Screen Rooms, LLC has built a solid reputation based on a solid foundation of hard work, honesty and integrity. these are the pillars and cornerstones that fuel their strong desire to deliver nothing but the best quality in all their projects. 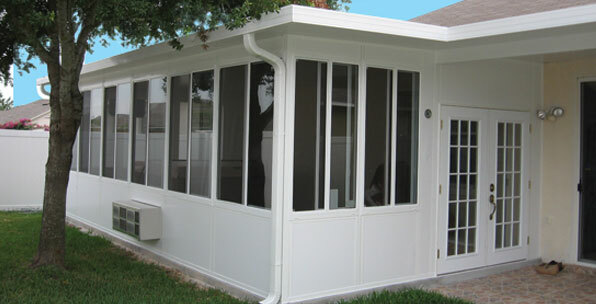 Give Florida Screen Rooms, llc a Call, You’ll be a happy camper, GUARANTEED!!! !